This is my mood board that i made of the influences that has inspired us to make the film. 1 – Title fades into black background. 6s. 2 – Medium long shot looking over the scene. Fade in. 3s. 3 – First person view of Jason seeing the body. 2s. 5 – Shot reverse shot, 180 rule between Jason and Paula. 1.5s. 6 – Shot reverse shot, 180 rule between Paula and Jason. 1.5s. 7 – Shot reverse shot, 180 rule between Jason and Paula. 1s. 8 – Shot reverse shot, 180 rule between Paula and Jason. 1s. 9 – Paula collapses on floor, omniscient camera. 4s. 10 – Paula Huddled up in corner, medium close up. 3s. 13 – Character text ,Jason runs under railway bridge. Long shot. 4/5s. 14 – Sound bridge of voice over, Jason running,Character text for Paula. 3s. 15 – Tracking shot of Jason running, Character text for Richard. 2s. 16 – Birds eye view of Jason running through a natural archway tree. 3.5s. 17 – First person view of Jason getting exhausted. 3s. 18 – Extreme close up of Jason getting tired. 2s. 19 – 1st person view, fade to black -falls unconscious. Jolt of camera. 3s. 20 – Blackness shows producers and production company in red text. 5s. 21 – Detective walking under street light. Long shot. 4s. 22 – Rembrandt style lighting, extreme close up of Detective. 3s. 23 – Paula huddled in corner, begins to talk to herself. Medium shot. 3s. 24 – Close up of Paula, says more lines. 8s. 25 – Match on action shot, detective walks through door into house. 6s. 26 – Detective points at body. Medium shot. 6s. 27 – Paula listening to detective saying lines to her. Close up. 3s. 28 – Close up of Paula replying to the detective. 5s. 29 – Paula gets up and pleads her innocence to the detective. 6s. 30 – Paula begins to collapse from exhaustion and fear. 1s. 31 – Close up of Paula’s head hitting the floor. Cut to black. 1s. 32 – Black screen. 2s. 33 – First person shot of Jason waking up. 3s. 34 – Long medium shot of Jason waking up. 1s. 35 – Close up of jason turning his head around. 1s. 36 – Sees blood on the tree. 1s. 37 – 1st flash back of Richard collapsing after being stabbed. 1s. 38 – 2nd flash back of Paula stepping back from what happened. 1s. 39 – 3rd flash back of Jason running from the scene. 1s. 40 – Flash backs end. Jason realises what happened the night before. 3s. 41 – Black screen showing directors of the film in red text. 5s. 42– The title ‘Forget Yesterday’ appears again. 5s. These are images of the area that we will be filming our film noir film in. These ones are mainly focused in the forest due to the fact that many shots of the film will be showing Jason running through the forest as the narrative voiceover happens in his head for the audience to listen to, and as Detective Jackson arrives on the scene. The image of the house is the house that Jason will run out of after the murder happens. We asked our audience what they thought of each title to find out which one was the most popular. As a result of our research we have decided to name the film ‘forget yesterday’ we feel it fits the film well, is catchy and was the most popular choice of the research also it has a hidden meaning and entices the audience to what happens in the film.. The people we interviewed liked the title as; it foreshadowed amnesia, you would want to forget the event, it links to the narrative of the film, more than one word so catchy, the character is trying to remember what happened and it has a ring to it and its simple to know what it means. The names were thought of by Ed mitchell, the filming was done by Lewis Joslin and myself. Psychological Profile – Calm, relaxed, positive. Becomes darker, worried, depressed, shows mild cases of insanity towards end of the film. Jason is the main protagonist of the film. At the beginning, he is found in front of the dead body of Richard Hunt, his friend. His first reaction to seeing the body is to run away. During the run, he manages to smash his head and fall into a ditch, causing him to wake up the next day with amnesia. His main goal is to piece together what happened the night before after the police begin to tell him that he may have been involved in a murder that night. However, the memories that he recover begin to take their toll on his psychological profile, as the information begins to piece together to create the idea that Jason was the murderer. Lewis Joslin has taken the role of Jason Smith. Psychological Profile – Worried, Stressed, Confused. Paula was the other character to witness the murder of Richard Hunt, who was also a good friend to Paula as well as Jason. After seeing Jason run from the scene, the police come in to take her away, but she convinces the police that the murderer is Jason. She is still taken in for interrogation, but has become too paralysed with fear about witnessing such an event, and is the one to witness the corruption of Detective Jackson firsthand. She has had history of breaking the law, but only through petty crimes such as theft. Cara Weatherley has taken the role of Paula Grayson. Psychological Profile – Negative, Violent, Short Tempered. Detective Jackson has been the officer chosen to investigate the murder of Richard Hunt. He has two suspects, known as Paula Grayson and Jason Smith. However, all is not as it seems with Jackson. He has abused his rights as detective many times previously and has a reputation of using violence to get the answers he needs or taking matters into his own hands rather than agreeing with the law. Robert Nash has taken the role of Detective Jackson. Psychological Profile – Laid back, humorous, Positive. A long time friend of both Paula Grayson and Jason Smith, Richard was found dead at his own home in the late hours of the night. Both Paula and Jason have been suspected of Richard’s murder, it still remains unknown who committed the murder and what the motive was. All that is known is that a kitchen knife was the weapon of choice. Ryan Mcdonagh has taken the role of Richard Hunt. In our group we have decided that we want to make our film a homage of the 1900 classic Sherlock Holmes. We have a detective character in the film so thought we would use some aspects from the Sherlock period in the film. We will be using conventions such as red lips, waistcoats, curly hair, tweed jackets, knives, hats and glasses. We will supply these ourselves and try to make the film look like it is set in those times. This is a collage i made that represents the sherlock era. In our film we will be using a few props. Here is a list i made to show what we will be using. Here is a list of what we are going to use and why. We will be using a kitchen knife as our weapon of choice. the detective walks in, therefore making her the main suspect. like a weapon that could be used for a murder case. body. 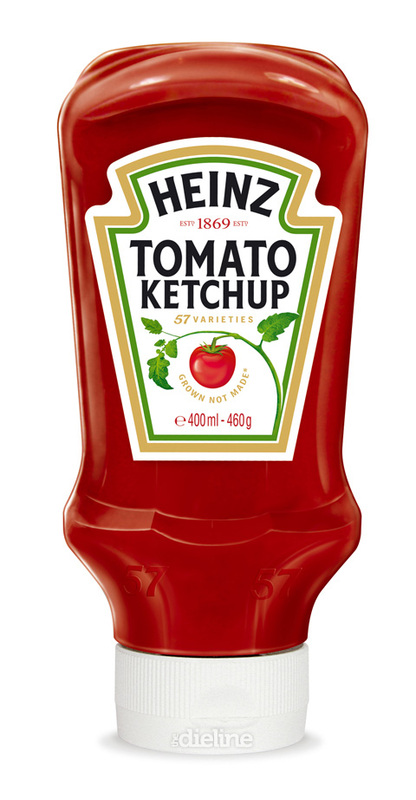 The ketchup will make it look realistic. 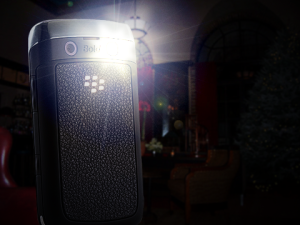 We will be using a blackberry flashlight to highlight key parts in the scene.